Welcome to the 1963 Pontiac site ! The goal of this site is to become the single source of information and resources for 1963 Pontiac owners. Check out the form to the right!! Now you can sign into your e-mail right from the home page. CLICK HERE. 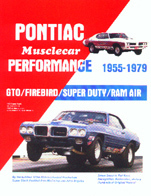 Take a look around and let other 1963 Pontiac owners know about this site. New Feature!! 1960 -1969 Pontiac VIN Decoder. Go to Online tools or click here ! Thank-you for stopping by. To purchase this book, please click on the image. Check out the literature page for more books to purchase. This is a new feature to our site and if you know of any books 1963 Pontiac owners would be interested in, please send me an e-mail! Cool Cars manufactured CCE Hydraulics and HiJacker for lowriders. the changes to this site. Thanks to my sponsor for making this site possible. Copyright � 2000 1963pontiac.com. All rights reserved.